From the rise of the sharing economy to desk-less hotel rooms, it’s no secret that Millenials are shaking up business travel with non-traditional habits and preferences. We found one Millenial who has another non-traditional travel preference- practicality. 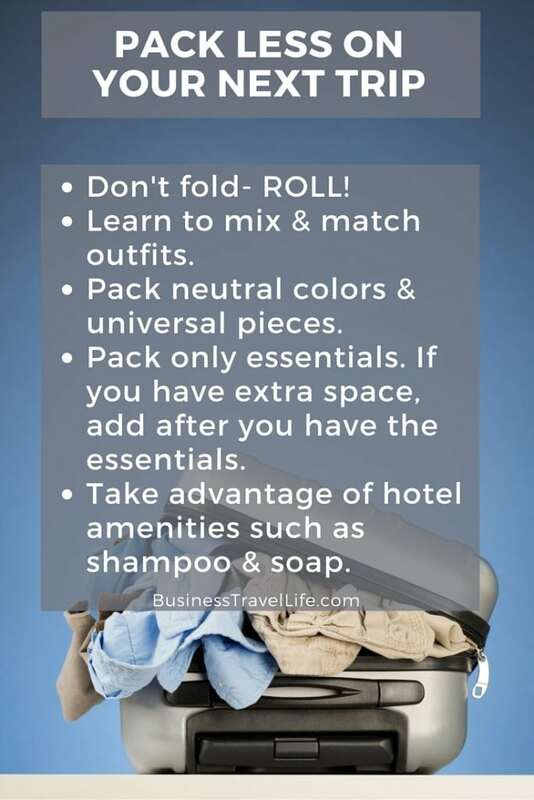 You may consider yourself practical when it comes to packing, but when is the last time you used the hotel toiletries instead of packing your own? Trang Le is a Team Lead Credentialing Analyst for American Mobile Healthcare, which is the largest national travel nurse agency. While Trang is new to business travel, she has mastered the art of packing lightly for business travel. What inspires you to pack so efficiently for business travel? I don’t travel much for work, but I do love to travel during my own personal time whether it is a weekend trip to Seattle, Portland, or going somewhere internationally like Spain or Budapest. 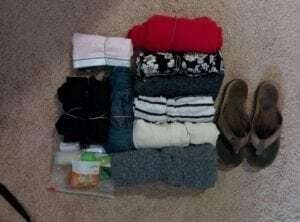 My motive for packing light is more on necessities and less hassle. I don’t typically like checking in my bags because I refuse to pay the fee and I like to know where my bag is at all times. For example, I recently went on a business trip for two weeks and I only packed one carry-on luggage and one actual backpack. I’m a fairly simple and practical person (for a girl? I know right?! Lol), so I actually utilize the hotels amenities like their provided soaps, shampoo, conditioner, etc. It helps that I am very low maintenance. 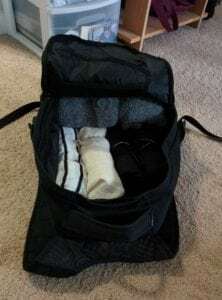 My carry-on had all my clothes which included my work clothes, my weekend clothes, and I was able to fit two workout outfits. My backpack held my work laptop and extra flats and flip flops. I am an efficient person and that reflects my work as well as how I approach things such as traveling. What is your biggest challenge when you pack? My biggest challenge typically would be figuring out what clothes to bring and if I can fit a workout outfit or two because I do workout often and traveling can make it tough. How do you stay healthy during travel? I will admit that staying healthy while traveling is hard especially for work because of the food allowance that’s given to you- I just want to splurge! One of the ways I stay healthy, especially when it comes to food, is to eat more vegetables and protein. 50% of my meals are typically vegetables, 30% is protein, and 20% would be either simple carbs or complex carbs. I also like to utilize hotels that have an on-site gym. I may not workout every day, but if I can’t sleep I’ll head down to the hotel’s gym and workout. And, if I don’t feel like having a high intense workout, I’ll actually do 15 minutes of yoga in the morning before I head out and 15 minutes before bed- it’s a great way to get your blood flowing. Don’t fold, roll your clothes (it’s the military way!) and place a rubber band around them. You save a ton of space and you can fit even more items in because you’ve created that much more space. For women who want to pack light, learn how to mix and match outfits. Take what you need, utilize all those neutrals and universal clothing pieces you own and get creative. It doesn’t even have to be complicated, you can have good simple pieces and look chic! And lastly, take what you need. If you have space left, go ahead and add additional items- more options are nice to have. 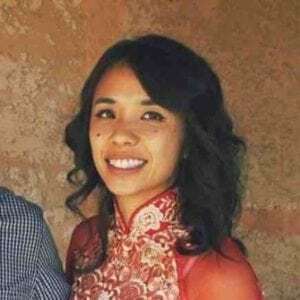 You can connect with Trang on Instagram and LinkedIn. What are your tips for packing lightly? Please share in the comments section!